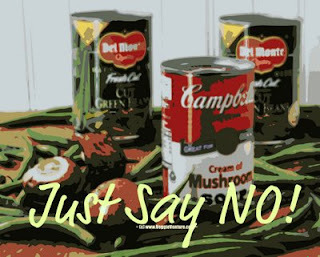 For Green Bean Casserole, Just Say NO! How to make a green bean casserole from scratch with fresh green beans and fresh mushrooms. 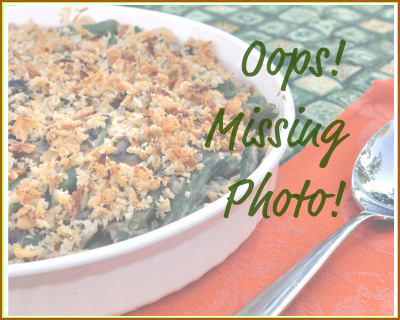 Below are step-by-step photos showing how to make the fresh green bean casserole recipe so many cooks have made (and loved!) since 2006. It's an adaptation of a Cooks' Illustrated recipe so good I dubbed it the World's Best Green Bean Casserole. SAY YES! The green bean casserole is America's favorite casserole for Thanksgiving, Christmas and Easter (and even Father's Day, Labor Day and other special family occasions). It's worth saying 'yes' to! SAY NO! to CANNED GREEN BEANS & CANS OF MUSHROOM SOUP But it's the 21st century and cans of more-gray-than green beans and cans of goopy gloppy mushroom soup just don't cut it any more. Making a green bean casserole with fresh green beans and fresh mushroom takes a little more time but it's not hard, not in the least. But the taste difference is so worth the extra effort. If you want to be a star at Thanksgiving, offer to make this green bean casserole with fresh ingredients. I've made one casserole after another for several years and am happy to share all the tips and tricks and techniques that make this a sure-fire success. TIP #1 - LOTS of WATER It might seem crazy to, you know, 'measure' the water just to cook some green beans. But this is one of the tricks to making Fresh Green Bean Casserole. Use two full quarts (that's eight cups) of water for every pound of green beans. This gives the beans a lot of liquid to cook in and helps them cook fully and evenly. Two quarts of water almost fills my large Dutch oven so to double or triple the recipe, it's important to cook the beans in batches, replenishing the water for each batch. So measure out the water, set the stove to medium high, put a cover on the pot so the water doesn't evaporate as it boils and bring the water to a boil. While the water boils, you'll be busy. Measure the greens beans, a pound at a time. You do have a kitchen scale, don't you? :-) Otherwise, just guess-timate. Now give those beans a nice cold shower. Now 'snap' the beans -- that means to break off the stem ends. Some people like to snap of the curvy little bit at the end of the bean but I don't honestly get that. They're cute! Why go to that extra effort? Drop the end bits into a Rachael Ray bucket. What's a Rachael Ray bucket, you ask? Well, what it isn't, is a high-priced garbage can. What it is, is a container of some sort that sits in the sink to gather up little odds and ends of garbage. At least in my kitchen, where the garbage is underneath the sink, this saves me so much time and bother while I'm cooking. Plus it goes in the dishwasher. TIP #2 - SET UP AN ASSEMBLY LINE Snapping the beans will move lickety-slick fast with an impromptu assembly line. Put the washed beans in the center. If you're right-handed, put the Rachael Ray bucket on the right, another container for the snapped beans on the left. Grab two beans in your left hand, snap off the tips with your right hand and drop them into their respective spots. Lefties, just switch sides. OOOPS Now here's where I'm going to ask for imagination because -- well, I forgot a really crucial step in making this batch of green bean casserole. It's not just that I forgot to take a photo of this step, I forgot to DO it. You see, after snapping the ends of the beans, you also want to snap them into bite-size pieces. Yes, I suppose you could use a knife but honestly, the rough edges are one of the 'signs' that this is NOT a typical canned green bean and mushroom soup kind of green bean casserole. So me, anyway, I break the beans into short lengths. BTW if you forget too, it's not a taste issue at all so don't worry that way. But whole beans don't stretch as far, so it's harder to feed as many people because the servings are automatically larger. TIP #3 - USE PLENTY OF THE RIGHT SALT The way to draw out the most green bean flavor is the judicious -- okay, let's call a spade a spade -- the liberal use of salt. Remember this formula for cooking beans: a pound of beans, a quart of water and a tablespoon of table salt. Table salt? That's the fine-grained Morton-style salt. It is relatively 'saltier' than kosher / sea salt and way less expensive. It's the choice for the cooking water for vegetables. Sure, you CAN use the other salts, but you'll need to use more and it'll cost you. Kosher salt? Or sea salt? Those are usually larger grains of salt, they are used for 'seasoning' food, usually when it's mostly or fully cooked. Get the kosher salt or sea salt out, we'll need it in a few minutes. So. Measure out a tablespoon of table salt, add it to the boiling water, stir it around a bit so that it's distributed and then drop in the beans. Put the cover back onto the pot and set the timer for six minutes. TIP #4 - STOP the COOKING! KEEP the COLOR! While the beans cook, fill a big bowl about halfway with ice, then about three-quarters full with cold water. This is called a 'cold water bath' and prevents the beans from overcooking and retains their bright green color. Remember this term, for the technique is used quite often to stop the cooking process, well, cold. This way, the beans (or asparagus, say) cook completely in the boiling water but instead of continuing to cook due to their own heat, once they hit the ice water, the cooking stops and the bright color is retained. See? This is a good thing to remember. TIP #5 - MAKE SURE THE BEANS ARE FULLY COOKED From here on, the beans won't actually cook, they'll just be heated. So it's important to make sure that they're fully cooked. They should be past crisp, just barely soft. Drain the beans in a colander. Speaking of colanders, you do have one, don't you? Or four? Yes, I have four and can't believe how often at least three are in use at the same time. I LOVE these colanders. They're on the small side, they stack, they cost about a $1 each, they go in the dishwasher though many times, a quick rinse under the faucet is enough. Every time I see one of those huge colanders in a store for $15 or $20, I channel my mother, shaking my head as I think, "More money than sense." Once the beans are fully cooked, drop them into the ice water, submerging completely. Use your hand, the temperature change will be palpable, you want them icy cold throughout. Once the beans are cold, lift them beans out of the ice water, leaving the ice cubes behind. Don't tarry - you don't want the beans so soak up the water. I suppose you drain the beans in the colander again but you'd need to pick out the much-smaller bits of ice. TIP #6 - DRY THE BEANS THOROUGHLY Wet beans = watery casserole = NOT GOOD. 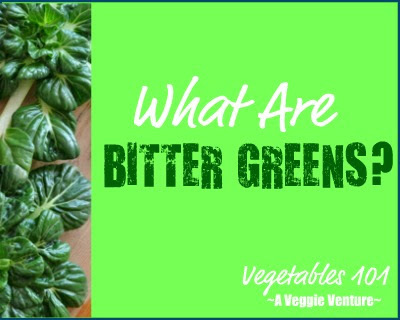 Even if you happen to be using frozen green beans, don't skip this step, it makes all the difference. Arrange the beans in a single layer on a double layer of paper towels. Use another double layer of paper towels to dry the beans from the top, too. Press gently, you don't want to squash the beans, but firmly too. You really want to extract as much liquid as possible. At this point, it usually work to uncover the beans and let them air dry for awhile. Okay, so that's it for the green beans. Now, the next step for making the World's Best Green Bean Casserole is to make the mushroom sauce. DO YOU LIKE THIS RECIPE? SIGN UP FOR A FREE E-MAIL SUBSCRIPTION AND YOU'LL NEVER MISS A NEW RECIPE. A Veggie Venture is the food blog about vegetables, home to the famous A-Z of Vegetables and second-generation food writer and 'veggie evangelist' Alanna Kellogg. For 'home delivery' of new vegetable recipes from A Veggie Venture, sign up here. Once you do, new recipes will be delivered, automatically, straight to your e-mail In Box. Subscriptions are free and every recipe includes nutrition information, Weight Watchers points and Alanna's tips and tricks, useful ideas for new and experienced cooks alike. Thanks so much for posting this recipe. I thought I had printed it a year or two ago but can't find it. My boys wouldn't forgive me if I didn't make the GB casserole for Thanksgiving. But this year I'm gonna' slip this one in and see if they notice the difference. In the recipe, you say use 2 qts. water per lb. of beans, but in the photo tutorial, you say 1 qt. per lb., same amount of salt. Was this an error or have you revised to your liking? 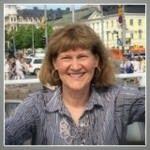 Charlene ~ Thanks so much for catching the error, it is indeed TWO quarts of water per pound of beans. I hope you'll let me know how those boys of yours react. Happy Thanksgiving!! Thanks for the pictoral tutorial on the green beans. I did a semi- homemade green bean casserole and following these directions really produced some excellent green beans! I will have to remember this technique for the next time I have fresh green beans. Reporting back. My oldest said, "Are those mushrooms in there?" And then, "This is SO much better than the all those cans!" Needless to say, there's no going back. Many thanks, Alana! Hope your Thanksgiving was wonderful! What happens if l forget to cook the fresh greanbeans and bake it like that? Chrystal ~ Ah no! So much to keep track of, cooking for Thanksgiving, it’s easy to miss even an important step. I do think you might be okay though. I’d recommend following the cooking step in this recipe, Make-Ahead Fresh Green Bean Casserole, which starts with uncooked beans. The thing I worry about it the sauce breaking but it would still taste good. Let me know what happens, fingers crossed!